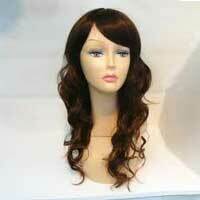 Clients can avail from us a variety of Synthetic Hair Wigs. These Synthetic Hair Wigs are manufactured using premium synthetic fiber which has good strength and life. These Synthetic Hair Wigs come in various colors, sizes, textures and styles as per the prevailing trends in the market. Our Synthetic Hair Wigs have natural looks and do not look artificial at all. 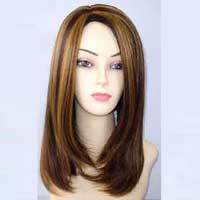 These Synthetic Hair Wigs are known for their natural appearance and strong adhesion.